FAQ | Dunster House Ltd.
You can now easily and safely get an estimation, place an order and purchase goods through our new online service. Shop with peace of mind and be assured that our site is operated using a highly secure SagePay (formally Protx) payment system. Any personal information given will be used only by us to process your order. All credit card numbers are encrypted in the software when the order is placed and are only decrypted after they reach our computer. They are not held in clear text on any web site. We will seek to verify all card transactions against the cardholders address. We cannot process any card payments over the telephone unless the card is registered to the delivery address. We accept VISA, Master Card, Debit Cards and Personal Cheques. Alternatively, you can telephone us on 01234 868 628, fax us on 01234 272588, or post your order to us. With card payments over the phone, due to our method of Address Verification, we are only able to deliver to the cardholder's address. Online orders may be placed to alternative delivery address, but only if the online card payment is in full and the card passes a 3D Secure check such as Verified by Visa or MasterCard SecureCode. Full payment must be made before any items will be delivered. If the order is being delivered to the cardholders address please send a 20% deposit or full payment with a written order giving full details (sketches and all relevant dimensions in mm) of the items you require as viewed from the outside. Please leave your telephone number and state a convenient time for us to contact you to confirm details and arrange delivery. Confirmation of your order will be forwarded to you. If you would like to collect your order from any of our other branches, please contact our sales department for transfer charges. We accept VISA, Master card, Debit Cards and Personal cheques. We can also accept payment via bank transfer. Please allow up to 10 working days for any cheques or bank transfers to clear. With card payments over the phone, due to our strict method of Address Verification, used to minimise the risk of fraud, we are only able to deliver to the cardholder's address. Online orders may be placed to alternative delivery addresses, but only if the online card payment is in full and the card passes a 3D Secure check such as Verified by Visa or MasterCard SecureCode. If you prefer, the payment can be made via bank transfer or cheque when ordering over the phone with one of our friendly sales advisors. Alternatively you can pay via chip and pin or cash by visiting one of our six branches. If paying by cheque we advise paying the whole order amount to avoid delaying your delivery date due to clearance timescales, however this is not required. No, full payment must be made before any items will be delivered. Are there additional charges for card payments? No, there are no additional charges when paying by card. This site delivers products to mainland England & Wales, using our own fleet of vehicles. Avon, Bedfordshire, Berkshire, Buckinghamshire, Cambridgeshire, Cheshire, Cornwall, Cumbria, Derbyshire, Devon, Dorset, Durham, Gloucestershire, Hampshire, Herefordshire, Hertfordshire, Huntingdonshire, Kent, Leicestershire, Lincolnshire, Middlesex, London, Norfolk, Northamptonshire, Northumberland, Nottinghamshire, Oxfordshire , Rutland , Shropshire, Somerset, Staffordshire, Suffolk, Surrey, Sussex, Warwickshire, Wiltshire, Worcestershire, Yorkshire North Riding, East Riding , West Riding. If you have the necessary transport, we are more than happy to arrange for you to collect your order from our Bedford factory and you won't have to pay for delivery at all - it will be free. You can collect your order Monday - Friday anytime between 9a.m. - 5p.m., excluding Bank Holidays. Shortly after you place your order, our dispatch department will contact you to arrange a suitable delivery date with you. In order to keep our costs (and therefore our prices) down, we operate a multi-drop delivery system and are not able to give a delivery time. Delivery turnaround for Dunster House windows and doors is typically 7-14 working days, but please contact our estimating department on 01234 272445 for up to date information. Do I need to be present on the day of delivery to receive my goods? All of our products are delivered using our own fleet of vehicles, not sub-contractors. We have a large number of vehicles dedicated to delivering our quality products so we can guarantee maximum care is taken during the delivery process. Our deliveries take place Monday to Friday between the hours of 8:30am and 6:00pm. If there is not someone there present to receive the goods a re-delivery charge will be applied. It is important that when the delivery vehicle is unloaded you check to make sure all of the correct items and instructions have arrived. You will have a delivery discrepancy note to match everything on, if anything is missing or damaged it is important you note this on your delivery discrepancy note when you hand it back to the delivery driver. Prices for our delivery services can be found on individual products. If you have purchased an installation from us, our install team will unload the delivery vehicle with the help of the driver. As we complete the manufacture of your uPVC Windows and Doors at our factory in Bedford, England, we base the delivery charge on the distance to your required location from there. The delivery charge is broken down into simple to understand delivery bands - Click here for more details. If your order value (excluding delivery) is more than £1,200 then delivery won't cost you a penny - we'll deliver it for free. If you live within appx 50 miles of our Bedford factory you will pay as little as £39.99. The further away you are, the higher the delivery charge will be. Can I change/cancel my order or return goods? Orders will only be acceptable and binding in writing. Should you change the details of the order once we have commenced the manufacturing process, we reserve the right to make a charge for reasonable costs involved as each item is bespoke. As all windows and doors are manufactured to your specific requirements, your order cannot be cancelled unless we are in breach of our obligations to you. A £40.00 administration fee will be charged for amending confirmed orders after they have been transferred to our Production Department, further charges will apply if physical production of the items has already begun. We will repair or replace any goods as a result of defective materials or manufacture. Your Statutory Rights are not affected. We also reserve the right, in agreement with you, to request an Independent Inspection of any suspect goods, or to carry out a mutually agreed inspection to identify whether the goods have been properly installed, used, maintained, stored or serviced. We reserve the right to make a charge to cover any reasonable costs if the goods have not been properly used or installed. We are a supply only company. We recommend that a competent or qualified person carries out the installation of goods supplied. Please ensure that the general guidelines supplied with the delivery for the fitting of the goods are read and understood before commencing or organising installation. If in doubt contact our offices. PVCu Profile White: 10 years as per Selecta Window Systems Ltd. statement below in italics. PVCu Profile Laminated: 5 years as per Selecta Window Systems Ltd. statement below in italics. A guarantee is provided on the profile by the manufacturer, Selecta Window Systems Ltd., free of charge, and therefore forms no part of the overall cost. Dunster House Ltd. is not party to the guarantee in any way. White Profiles: 10 years with respect to colour stability, shape retention, impact strength retention and resistance against attack from salt laden atmosphere, cement mortars, and certain other materials used in house construction. Laminated Profiles: 5 years with respect to adhesion to laminate, shape retention, and impact strength retention. Laminate profile is very heat absorbent and is therefore not suitable for sunny or warm locations. Please consider this when surveying your installation. Sealed Units: 5 years against condensation inside the sealed unit, please follow our glazing instructions to ensure the correct installation of the sealed units. Furniture: 1 year against failure in operation. Please follow the service instructions in the leaflet 'Looking after your Investment'. Panel Products: White: 5 years against discolouration. Woodgrain (Laminate) panels are very heat absorbent and are therefore not suitable for sunny or warm locations. Please consider this when surveying your installation. What happens if there's a problem with my new windows and doors? Firstly, please check your windows and/or doors before you remove any existing ones, to make sure everything is as you ordered it and that the specification is correct. It may take a few minutes, but once you remove any old frames you're past the point of no return. Remember to check that everything opens and works properly, that you're happy with the standard of the sealed glass units and that there are no imperfections in the glass - it can help to hold items up to the light . We will have already fully checked them before they leave our factory, so unless something has happened in transit they should be perfect. Make sure you read the Installation Instructions in full and make sure that you have all the necessary tools and fixings to complete the job. If you think you have a problem, send an email to our Customer Services department including details of your invoice number and the details of your query. Our Customer Services department may need to re-contact you if they need more details or questions to fully understand your query. If a genuine problem is established, Dunster House will pick up the item/s and bring them back in to our factory for inspection, where they will be repaired or replaced, as necessary. If we aren't able to find any problem we'll organise to drop the products back out to you. Unfortunately, there will be a charge for the collection and re-delivery in the event that no problem is found. As we make all of our windows and/or doors to measure, we aren't in a position to just send a replacement out without establishing there is a genuine problem. We manufacture all our goods to a commercial standard and check against this standard when products are sent out and if they are returned to us. So in summary, we check them before we deliver them to you , you check them before you fit them and if there's a problem we'll bring them back in to inspect and replace if necessary. Simple! A totally flawless piece of glass is very rare. If you look enough at any piece of glass, you will almost certainly find a minor blemish. The question that has to be answered is, is the flaw or mark of such a nature that it spoils the appearance of the window. In an attempt to help resolve what can be a contentious issue, the Glass and Glazing Federation has devised the following test to enable both customer and glazing companies to examine glass against objective standard. Exclude 50mm wide band around the edge of the glass from the check. The obtrusiveness of blemishes is judged by looking through the glass, not at it, under natural light. It must be understood that the glass used in double glazing is a processed glass, and so as a consequence, blemishes are to be expected. Insulating glass units with optical defects such as smears, fingerprints or other dirt on the cavity faces of the glass, or extraneous material in the cavity are unacceptable, except in some cases where small particles of desiccant can be seen. Toughened glass may show visual distortions which are accentuated by reflections in double glazing. Such surface colourations and patterns do not indicate a change in physical performance. Low emissivity coating may produce transient visual effects. In some lighting conditions the coating may look like a transparent film or produce a haze, ie a cloudy look to the surface. When light coloured objects such as net curtains are placed close to the glazing they may look slightly darker. Why you need to buy from an established company? "The number of window and conservatory companies changing their details, moving or closing their doors is at the highest ever level"
"So far this year...847 companies have either ceased trading, retired, moved into other markets or are no longer contactable." Why does this matter if you buy windows and doors? The window industry is very saturated and unfortunately companies closing are not new. This creates problems for customers because guarantees become worthless and spare parts hard to find. If only part of the house has been double glazed, windows/doors from a different Company will not match and leave the homeowner with an odd suite, destroying one of the main reasons customers buy double glazing, to improve the home's appearance and add value. Why is Dunster House any different? Well, we started in 1994, so we've been around for years. So, we have a proven track record, strangely though this is not the main reason you should trust us with your custom. Many companies borrow heavily to support their activities. This means that just a bad sales month or two can have catastrophic effect on their survival. We don't. We don't run overdrafts to keep us "afloat", if we have bad month or two, it's upsetting but doesn't threaten the stability of the Company like it would many others. Dunster House is a safe choice, whether you want 1 window or 100, we have the knowledge, product, history and strategy to look after your needs. Why buy energy rated windows? Are higher rated windows worth the money? In a perfect world, all homes & buildings would be built of the most energy efficient materials, in order to conserve the worlds resources and to have the lowest environmental impact. Unfortunately, unless you live or work in a very recently built property this is very unlikely to be the case. The development, use and cost of ‘A’ rated thermally efficient glass, for most properties, is unlikely to make any significant impact on energy reduction, compared to the ‘C’ rated glass we sell. It generally will also cost you between 10-20% more. Significant additional energy efficiency in a property is only really achievable if you are able to improve the insulation of your walls, roof and floors, which is where most of the heat dissipates through. So we'd advise you to save money on the glass that you buy and spend it where you would get a greater return on your investment. How do I prove my windows meet Building Regulations? This series of articles is intended as a general guideline only it is not intended as advice; this article was written on 16/12/2014. When you come to sell your house, if you have changed your windows and doors you will need to prove to the new owner than the windows and doors meet building regulation requirements. When you pay for windows to be installed by a windows installation company, they should be part of an organisation called Fensa. Fensa are self-regulating and are trusted to be able to certify that the windows they install match the building regulations for the situation. There are, however, countless horror stories online of them failing to match the requirements, putting the customer in a difficult position, so it is worth reading up on the regulations yourself. A lot of these big firms would charge £10,000s for a whole house of windows and doors, whereas DIY windows and doors from Dunster House can cost as little as £2000 for your entire home. So you can save £10’000s by installing windows and doors yourself or by getting a local skilled tradesman to install them for you. All you need to do is make sure the windows and doors match building regulations. The rules are all based on the situation. So a window that might pass building regulations for one location will not for another. This might seem daunting but do not worry! In this FAQ, we will try to simplify the main issues, as we see them, which our customers may need to be aware of when looking to comply with building regulations. It may be there are additional restrictions on your property, such as sound insulation in noisy areas (Part E - Resistance to sound); it is always worth giving your local building control officer a call, they should be able to give you advice regarding building regulations. The responsibility for meeting building regulations lies with the person installing the products and the landowner. So if you are installing yourself, you need to ensure your choice of style and options result in your windows and doors meeting the rules above. If you are paying a professional installer to install the windows, then if they know their trade properly, they’ll refuse to install any windows that do not meet the requirements for your home. All of which could be costly to you. Much better to take the time to work out what you need and choose the right options for your situation. So what do you do once you are sure your windows and doors comply? For a small fee your building control officer will be able to inspect your windows and doors after installation and provide you with a certificate to show you have made the right choices. This will be needed when you come to sell your house. Normally the fee is only an administration fee to cover their costs. It is a service run by the council so they are not out to make profit from it. A small admin fee is easily paid for by the saving of £10,000s by doing the windows and doors yourself! This is a question we can’t answer for you; it all depends upon your situation. Luckily it isn’t hard to work out for yourself, so let’s take a look. The reason you might need toughened glass is due to Part K Building Regulations (Part N in Wales). More information can be found on the UK Governments Planning Portal website here. These provisions are all about protecting you or your family if one of you were to run in to or trip in to a glass window or door, and it is required by law that certain “at risk” areas are made from toughened glass. Toughened glass is not indestructible. It is stronger than regular glass but it can still break. The reason it is safer is that if it does get hit hard enough to break, it will crumble in to lots of tiny pieces, rather than shattering in to large dangerous shards of glass. This is why it should be used on glass areas where someone might trip or fall against it. If any part of the glass is within 800mm of floor level then that whole glass section will need to be toughened. If the glass is part of a door or is within 300mm of a door, then if any glass section is within 1500mm of floor level then that whole glass section will need to be toughened. So if all or just part of the glazed area is within the shaded area that requires toughened glass then you need to ensure you buy toughened glass for that location. 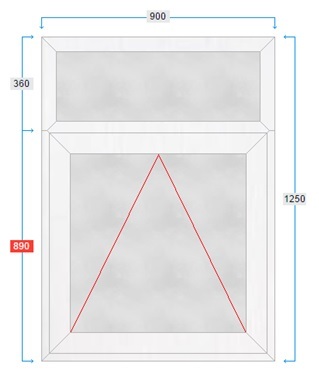 As you can see there are location that do not require toughened glass, these are illustrated as numbers 1,3,9 and 10. Most standalone windows do not require toughened glass; these being windows that are over 800mm from floor level and are not within 300mm of a door. Remember, Dunster House do not know where you are fitting your windows, it is up to you to choose Toughened Glass when you require it for your situation. All the glass on any of our doors is toughened. It is included in the price, you don’t need to worry about paying more (fixed glass sections above the door, such as labelled “3” on the diagram may not be toughened, since they are not required to be). All side panels for doors are also automatically toughened, included in the price (as these are generally within 300mm of a door). On any of our windows, with one easy tick you can choose Toughened Glass and the whole window will be made with toughened glass. It is as simple as that. Just look at the diagram and where you need toughened glass, chose the option on our website or let our Salesperson know over the phone. For more information on Building Regulation Requirements for our windows and doors, please see our other FAQ articles. As time has gone on, we have gotten better and better at making our homes insulated, putting draft excluders on doors, sealing all the gaps, making our homes practically hermetically sealed. But this has actually had a downside. Human beings are pesky creatures that just keep breathing. And every time you breath out, an area the size of a tennis court that makes up the surface area of your lungs is evaporating moisture (go breath on a piece of cold glass and you’ll see what we mean!) In our modern sealed homes, this moisture has nowhere to go, building up in the corners of rooms and often being mistaken for damp. This moisture can damage our property and our health if mould starts to grow. Dunster House windows and doors are great, with gasket seals to stop drafts and meeting all the latest regulations required for insulation. But then how to do we stop this moisture building up? Simple, we can provide optional trickle vents to each window. A trickle vent is a simple aperture to allow air to circulate between the outside of your house and the inside of your room. It can be opened or closed by the user. Part F of building regulations covers the need for ventilation and it can be found on the governments planning portal website here. As part of this document, it is required that kitchens, bathrooms and utility rooms have ventilation but this would normally be covered by a fan. This would also normally mean that, assuming you have an adequate ventilation fan, you would not need trickle vents for your windows. For all habitable rooms, tickle vents are required for what is called whole building ventilation (For very new houses you may have a whole house ventilation system and not need trickle vents either). A habitable room is a room used for dwelling purposes but which is not solely a utility room, bathroom or cellar. Choose trickle vents for all rooms except hallways, bathrooms, utility rooms, kitchens or cellar. For bathrooms and kitchens, you also need ventilation but you will normally have a fan. If you do not, you will need to consider ventilation for these areas as trickle vents through windows may not be sufficient. And if you have any questions, just ring your local building control office – your council is supposed to be there to help with things like this! It is as simple as that. For more information on Building Regulation Requirements for our windows and doors, please see our other FAQ articles. This building regulation is another sensible one there for our protection. We can become so obsessed with security having smaller and smaller opening windows to stop burglars getting in, but what happens if we need to get out? What happens if a fireman needs to get in through the window to rescue someone? As we will see later, it is actually this consideration that sets the sizes for fire escapes. It is also the case that our obsession with keeping energy bills low has previously led to houses designed with smaller and smaller windows. You may see some houses built in the 90s that have very small windows, as it is easier to insulate a wall than it is to insulate glass. A lot of these windows simply wouldn’t be allowed now, due to changes to the rules requiring fire escapes. Luckily improved glass technology now gives greater insulation than ever before, meaning larger windows can be made to create a fire escape while still providing thermal insulation. When replacing a window, it is important to consider the fire escape requirements. So when do you need a window to count as a fire escape? Part B of building regulations covers fire safety for dwelling houses. It can be found on the governments planning portal website here. For a simple 1 or 2 storey house, the provisions are quite simple. If the building is larger than this, for example, a block of flats, then exit becomes more hazardous (for obvious reasons) and you should consider carefully your windows and doors along with an overall plan for fire escape. All habitable upstairs rooms must have a window suitable for fire escape. All habitable rooms on the ground floor must either have a fire exit or have direct access on to a hall leading to a fire exit. An inner room is a room where you would need to go through another room (an access room) to reach a fire escape. An inner room like this would require its own fire escape. However it is acceptable to not have a fire escape if the inner room is a kitchen, laundry or utility room, a dressing room or a bathroom/WC/shower room. So this means your en-suites are fine without a fire escape window. So how can a window be a fire escape? This is actually all quite sensible and quite easy to achieve. Note that the opening area must be at least 450mm wide. Combined with the width of the frame and sash, that means the size of a side opening window on the Dunster House website will need to be 650mm. So if you chose an Egress hinged window (A special hinge designed to open the window wider than a normal hinge), the opening size will be set to 650mm and the hinges will open out to 90?, the perfect fire escape window. It is as simple as that. By paying attention to the requirements for the room you are fitting the window and carefully setting your hinge option and opening size accordingly, you can ensure the window you choose will be considered a fire escape. Don’t forget we also do French windows, where both the left and right hand sections open with a floating mullion attached to the slave sash – meaning once opened the window will be completely open with no bar in the middle. Not only great as an escape window but brilliant for moving furniture in and out as well! In order to help protect the environment and to keep energy bills low, the requirement for energy efficiency in windows has been getting more and more demanding over time. All Dunster House windows and doors meet these requirements, using energy efficient 5 chamber profile system and Low Emissivity Planibel A glass, so you can rest assured you will be fine on this requirement of building regulations. It is, of course, possible to get windows that are even better for energy efficiency, even going as far as the expense of A Rated triple glazed windows. But you have to consider the expense vs the benefit. If you are replacing windows and doors in anything except a modern built house, then the chances are there are other more cost effective changes you could make. Rather than spending the £1000s extra on triple glazing, a Dunster House window will provide excellent insulation, get you through the building regulation requirement and then you can consider spending the savings you make on upgrading the wall insulation levels, or insulation for the roof. In order to show to your building control officer that the installed windows meet the required level of insulation, each Dunster House window is provided with a conformity certificate to demonstrate it has been made with the correct materials and to the correct design to ensure conformity to the Building Regulation insulation requirements. What are your Windows Energy Rating? Our energy efficient windows are &apos;C&apos; rated and is the (WER) Window Energy Rating that is required to meet part L of the building regulations. &apos;C&apos; rated windows are still very energy efficient and could save you hundreds on your house hold bills according to the (GGF) Glass and Glazing Federation). Dunster House offer &apos;C&apos; rated windows unless otherwise requested. There are companies offering &apos;A&apos; rated windows as standard, which can give you an additional thermal energy saving of 2- 3% but it may be better to use the money you save from not buying &apos;A&apos; rated windows and put it towards wall cavity or loft insulation, helping to boost energy savings in your home. Why do double glazed units sometimes crack? Every material has its own unique properties. Glass is no exception. The great benefit of glass is that it is water proof and transparent, that is why people make windows out of it. It is also less likely to scratch unlike Perspex and styrene, which is why these more modern materials haven't replaced glass as our favourite glazing material. One thing glass doesn't handle well is changes in temperature. Just like if you put a cold plate under a hot tap, rapid expansion due to heat in one part of the glass compared to another can cause tension, leading to a crack forming. This sort of crack starts at the edge and spiders through the glass. If your glass has cracks moving out from a central point, then your crack was caused by impact and not by thermal cracking. Windows that may be partly shaded will be affected when one part of the glass is heated by the sun. This may be especially relevant on cold days with bright sunlight, as the glass will be cold throughout but with one area receiving a lot more heat than another. Cracking can also be caused by tension between the inner pane of glass and the outer pane on a double glazed unit. The whole point of double glazing is to keep the cold on one side while allowing the inside to heat up, but if this temperature difference is too great or if it develops too rapidly, one pane of glass will expand faster than the pane on the other side, putting tension on the glass and causing a crack. One situation can occur when the outer pane is very cold on a freezing morning and the inner pane is warmed suddenly by the heating in your house. If the crack appeared shortly after you turned on your heating, this is what has happened. It is also more likely in windows above radiators. Is there anything that can be done to prevent this type of cracking? In short, no. Nothing can be done to completely prevent it. It is a property of the material. Just like how timber rots and metal rusts. But steps can be taken to limit the likelihood. The main point is about storage and handling of glass sealed units, as well as fitting. Cracks need a starting point. A crack is much more likely in a sealed unit where the glass has been dented on the edge. This could happen by storing a sealed unit and it has been left on a hard and uneven surface such as concrete or if it has been placed on top of a discarded screw or similar, something that is very likely to happen when doing DIY. To prevent this happening, always store sealed units on a soft and even surface. Within our delivery vehicles, we use loose carpet tiles which we can move around and place underneath the seal units to protect the edges. Care should be taken when installed the glass units so that at no point are the edges knocked. Glass units can also fail when they are heated up too rapidly. If you have stored your glass in a cold garage and then move then in to your home where the heating is on, the glass could heat up too rapidly. This is less likely to cause a crack as the sealed unit is likely to heat up evenly, but certainly ensure that you never lean a sealed unit up against a radiator. Glass units have even been known to crack from the heat of someone's hand. When carrying in a cold sealed unit, use gloves to ensure the heat from your hand doesn't heat up the parts of the glass you are carrying. Follow these simple tips and you will greatly reduce the chance of your sealed unit cracking due to thermal stress. Why have we added toughened glass to quote? We have added Toughened glass to quote, this text will explain why so please read carefully. Certain internal and external areas are considered 'critical locations' in terms of the safety of vertical glazing, as they are at risk from accidental human impact. The critical locations defined by the standard are similar to the Approved Document N of the Building Regulations 1991. As your window is 1500mm or over in the height we have added toughened glass to ensure you comply with regulations, always better to be safe than sorry. 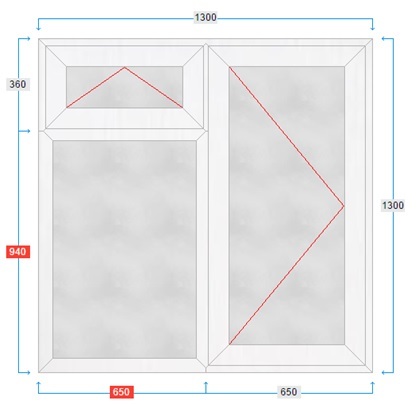 We have however listed the criteria below and should your window be outside of the critical locations listed you are free to remove the toughened glass from your order. Side Panels/windows next to doors - Any glazing or part of that glazing, which is within 300mm of either side of a door edge and which is between the finished floor level and a height of 1500mm above the floor level, is in a 'critical location'. Windows, partitions, and walls - Any glazing or part of that glazing, which is between the finished floor level and a height of 800mm above the floor level, is in a 'critical location'.